Welcome to the Massey Ferguson Unadilla National in New Berlin, NY. This year's Unadilla National will mark Round 10 of the 2019 Lucas Oil Pro Motocross Championship, sanctioned by AMA Pro Racing. Unadilla Motocross began racing in 1969 after its founder, Ward Robinson, fell in love with dirt bike racing after seeing a hare scrambles event. Would you believe that the infamous Unadilla track layout was actually the second choice? The original pro track layout was planned to be on the footprint of today’s amateur track U2, however, logistical concerns turned eyes and designs toward what was to become known simply as UNADILLA. Since its beginnings, Unadilla has hosted Trans-AMA (1970-1978), Trans-USA (1979-1981), the 250cc USGP (1978-1992), and the first ever MX des Nations in the United States (1987), and a round of the US Nationals since 1989. Unadilla’s history is full of epic battles, which make sense once you consider that every significant racer in Motocross’ history has challenged Unadilla over the years. 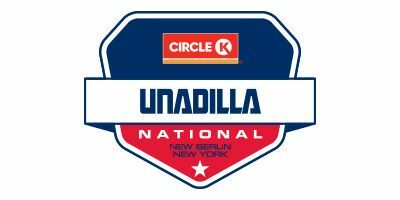 Unadilla is now second generation family owned and includes a round of the ATV Nationals, a round of the GNCC series, a vintage racing weekend (MX Rewind), and several amateur events during the racing season. Utilizing a former dairy farm, Unadilla was laid out to be European in nature. The track’s rolling natural terrain layout sprawls out over 55 acres of classic New York countryside. 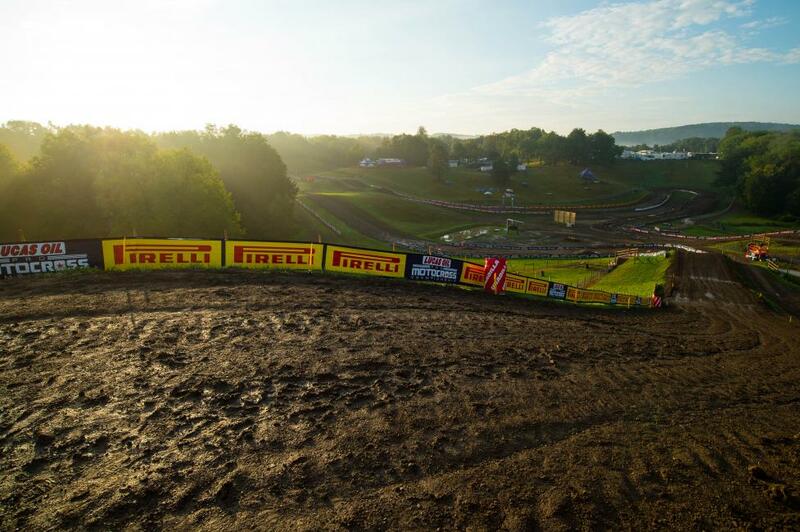 While many of the original track features remain (Gravity Cavity, The Wall), Unadilla has evolved over the years to respond to the changes within the sport. The origin of Skyshot, which was added to capitalize on racers' and bikes' abilities to launch over 150’ while being over 30’ in the air, actually came from an amateur race. Due to extremely muddy conditions, racers were cutting the original track and had made a line, which allowed them to jump over the corner and nearly over the top of the hill. That gave second generation Robinson, Greg, an idea for a track change. Much to the chagrin of elder Robinson, Ward, Skyshot was added the following year. Little did they know that this jump would become one of the most iconic and most photographed jumps on the circuit. Three new sections and a few track reworks have been since added to enhance both racing and spectator experiences. Our newest track section brings the action closer to the crowds that line the hills of Gravity Cavity, and tunnels now allow spectators to navigate more quickly from one favorite section to another. No matter where you like to view the racing action from, we hope you will pull up to your favorite spot and enjoy another great day of racing at Unadilla. While Unadilla has been and will always be about the Pro National Motocross racing, did you know that a big part of this historic facility is now rooted in amateur racing? Starting in 1993, and on the infamous pro track, Unadilla jumped head first into amateur racing. That year saw one of the largest amateur races in AMA history with over 1800 entries, followed by the largest 125 AMA National with 290+ entries, and if that weren’t enough, it was also the largest 250 National ever with 290+ entries. Over the next six years, nearly 10,000 riders got to experience the thrill of competing on the famed Unadilla soil. However, by the end of the July 1999 Pro National, there wasn’t much of that famed soil left those years of amateur racing had destroyed this once famed facility. The Robinson family realized that a decision had to be made either run amateur races, or quit amateur racing and focus on the Pro National Motocross. However, why not do both? In the fall of 1999, and with the help of a familiar face, Doug Henry, U2 was born. By the beginning of the 2000 racing season, the track was up and running, and more importantly, it was winning fans who felt the track was more suited to the amateur rider. Rental car entrance North of main gate and paddock entrance. Will call tent at Gate D off Route 8. 2019 Special Events will be added at a later date.